A new and exciting way of weather watching in the comfort of your own home but with an easy to use professional piece of equipment. The new CM2000 has the much loved wireless sensor suite which can be mounted anywhere in the garden. The overall superb specification ensures an exceptional level of accuracy and reliability along with ease of use. 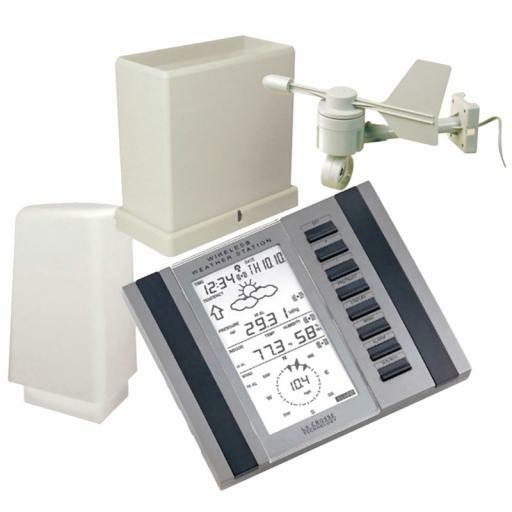 Included with the weather station is a free edition of easy weather software to bring you a complete weather monitoring experience. Simply plug they station into you home computer and start downloading! > Rainfall data (inches or millimetres): 1-hour, 24-hour,one week,one month and total since last reset.